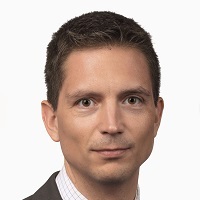 Erwan Pirou, CFA, leads the Canadian fixed-income research team at Aon and is a co-lead of Aon’s fixed income team globally. He is a senior member of the manager research team and plays a crucial role in supporting the Investment Consulting practice. Erwan has a particular focus on fixed income and liability-driven investments. He researches a wide range of fixed income products from Canadian bonds to global and high yield bonds. He also has experience of structuring solutions with derivatives. Before joining Aon in 2007, Erwan was a credit analyst at Barclays in London and served as a fixed-income security portfolio co-manager. Erwan has a Master’s degree in corporate finance from Université de Rennes (France).